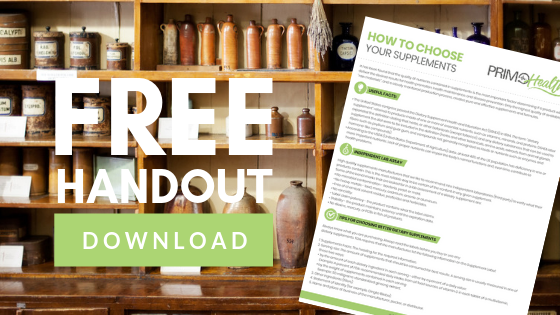 Over 2500 medical articles have reported the benefits of dehydroepiandrosterone, or DHEA, a hormone secreted from the adrenal glands. As a dietary supplement, DHEA has many applications to human health. Following is a discussion of some of these applications. Aging is a gradual deterioration of our various organs and systems. It is not just "getting older." People don't simply die because they are older. Death results from failure of an organ or system. Consider your automobile. It doesn't simply stop running without some cause. If examined, it will have a specific failure, such as a broken carburetor, weak battery, or corroded spark plugs. And the year of the car does not necessarily correspond with its condition. The same principle applies to humans. We age and die due to a particular cause, usually failure of the heart, lungs, brain, liver, kidneys, or immune system. Aging is associated with reduced protein formation, decreased muscle mass, decreased bone mass, and increased body fat. 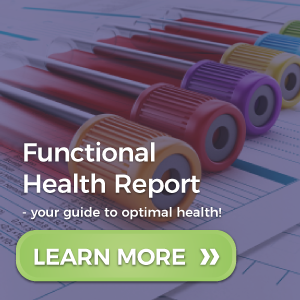 DHEA can be viewed as a special hormone with protective roles in many aspects of organ health, including prevention of deterioration associated with aging. Stress causes the body to release hormones like adrenaline. This happens too often in our stressful environment. These stress hormones prepare the body for "fight or flight," and, in the process, cause enormous wear and tear on the body. One action of DHEA is the cushioning of these stress effects. This action is critical to decreasing the damaging process of aging. In a 12-year study of 242 men, ages 50-79, the men with the higher DHEA levels had a 40% reduction in death rate from heart disease, and a 36% reduction in death rate from all other diseases such as strokes and cancer. Lower DHEA levels are associated with fatal heart attacks in men. Those men with lower DHEA levels had a greater blockage of the arteries of the heart as proven by specialized heart pictures. There is growing evidence that increasing DHEA levels can reduce atherosclerosis and blockage of the arteries of the heart. As a matter of fact, DHEA supplementation reduced atherosclerosis in rabbits by almost 50%. This dramatic effect was accompanied by decreased fat accumulation in the heart. DHEA may, therefore, block the development of atherosclerosis and slows aging. These studies make a strong case for increasing our DHEA levels by supplementation to reduce the deterioration caused by atherosclerosis. Stress causes damage to our various organ systems. It accelerates aging and leads to death. One study conducted on laboratory mice demonstrated the lifesaving benefits of DHEA in relieving stress. The mice were deliberately given an encephalitis virus. When they were then exposed to the stress of cold temperature, 67% of them died. If the mice were kept at room temperature, none died. When infected mice were treated with DHEA first, only 22% died of the cold stress. Therefore, DHEA reduced the deadly effects of stress. This study provides direct evidence for the protective effects of DHEA. It supports the idea that DHEA buffers the stress response. This theory has meaning for aging overall, by decreasing damage caused by ordinary stress. Supplementing to raise DHEA levels could also be helpful in certain viral illnesses, including common colds and flu, which can be devastating to the elderly. As people age, they become more susceptible to infectious diseases. Actually, they generally get fewer colds and flu because in their younger years their immune systems produced specific antibodies against each virus that made them sick. These antibodies remain in the blood to prevent ever catching the same virus twice. However, an older immune system has difficulty fighting a new virus. It cannot produce antibodies as easily, so illnesses can be more severe. Nor can it fight cancer cells effectively, so cancer develops more often. In fact, an older immune system appears to get confused, and attacks the body's own organs. This may cause an autoimmune disorder, resulting in further damage and aging. One of the most exciting findings of recent research is that this deterioration of the immune system may be a direct result of the decline in DHEA. However, this deterioration can be reversed by increasing DHEA levels. Therefore, an older person need not be devastated by a common cold or flu bug just because of an older immune system. DHEA can significantly protect against deadly virus infections by strengthening the body's resistance. When DHEA was given to mice infected with a deadly virus, it reduced the death rate from 100% to 40%. In old mice, DHEA helped their immune deficiency. It significantly enhanced their immune responses to a vaccine so that the vaccine would better prevent disease. 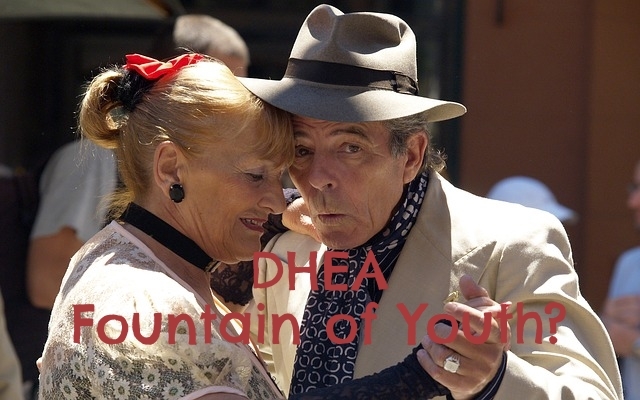 DHEA could improve the effects of our influenza vaccinations for the elderly. In humans, DHEA prevents infections by the EpsteinBarr virus, the virus responsible for infectious mononucleosis. Other studies have shown that DHEA can reverse the dysfunctions of the immune system caused by aging. Indeed, it can protect immune function in the midst of direct attack on immune cells. Many studies, some dating to the 1950's, have shown that people whose bodies produce low levels of DHEA have a higher risk of developing cancer. DHEA levels were 300% lower in humans who developed gastric cancer. According to research conducted at John Hopkins University School of Medicine, raising DHEA levels may reduce this risk significantly. The National Cancer Institute is testing dozens of possible anticancer compounds. In some of these tests, DHEA has produced significant anticancer effects. Furthermore, in laboratory animals studied at the Temple University School of Medicine, DHEA has helped to prevent cancer of the breast, lung, colon, thyroid, skin, and liver. Low levels of DHEA are associated with a decline in most mental functions. In fact, the loss of memory and functional independence that sometimes accompany aging may really be a decline in DHEA. In 61 nursing home men, ages 57-104, DHEA was below normal in 40%. DHEA was lowest in those with the greatest degree of senility. Many studies show that an increase in DHEA has the potential of treating these serious problems. In addition, DHEA enhances memory in mammals, probably by increasing rapid eye movement (REM) sleep. REM sleep has been proven necessary for optimum memory storage and for a more restful, deeper, sleep. When DHEA was given to old mice, their memory processes increased to the high levels of young mice. For these reasons, the value of raising DHEA in agerelated senility has been proposed. As a matter of fact, one study strongly suggests that correcting DHEA levels may help improve Alzheimer's condition. 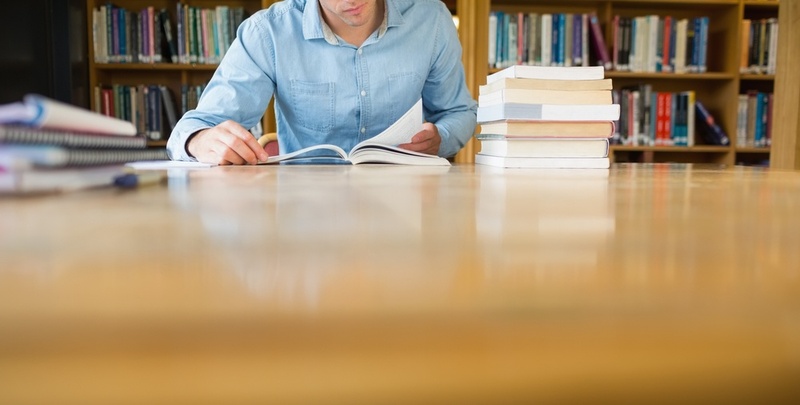 It has been demonstrated that DHEA, in test tubes, greatly increases the number of nerve cells and their ability to establish connections to other nerve cells. In a controlled study, researchers at the University of California increased the DHEA levels of thirty men and women, aged 40-70, for three months. They found that 67% of the men and 84% of the women reported that they felt better emotionally and physically. They had more energy, were more alert, and had a more positive outlook on life because of their increase in DHEA. Suppression of body fat, usually without a significant change in food consumption, is one of the most interesting and unanticipated effects of DHEA. In fact, in some experiments, DHEA caused the laboratory animals to eat more yet suppressed their weight gain.3 We do not fully understand why this happens. 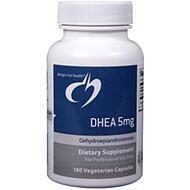 It is believed that DHEA, in an obese situation, may cause fat and carbohydrates to be used more efficiently. This creates more energy and decreases fat storage.4 One proposed mechanism of action is the blockage of an enzyme called G6PD. This enzyme is crucial to fat production. Block it and you might help prevent obesity. It may be that DHEA actually blocks G6PD. In a study at the Medical College of Virginia, five normal men were given a placebo and five normal men were given DHEA. In only 20 days, in the DHEA group, the mean percent body fat decreased by 31%, with no change in weight. This reduction in fat mass was coupled with an increase in muscle mass. 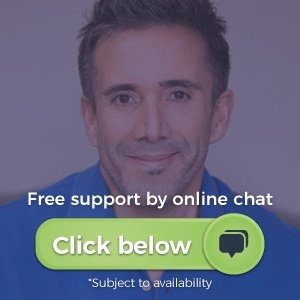 The only man in the DHEA group who did not lose body fat was the leanest subject in that group and weighed only 90% of ideal body weight.7 DHEA is very helpful in most individuals who wish to lose fat, but not lose muscle in the process. 1. Mortola, J., J Clin Endocrin (1990) 71(3): pp. 696-704. 2. Mortola, J., J Clin Endocrin (1994) 78(6): pp. 1360-7. 3. Schwartz, A., J Cell Biochem (1993) S17G: pp. 73-9. 4. Gordon, G., Adv in Enzyme Reg (1987) 26: pp. 355-82. 5. Cleary, M., Int’l J Obesity (1986) 10: pp. 193-204. 6. Regelson, R., The Super Hormone Promise (1996) Simon & Schuster, New York. pp. 48-50. 7. Nestler, J., J Clin Endocrin (1988) 66(1): pp. 57-61. 8. Regelson, W., Ann NY Acad Sci (1994) 719: pp. 553-63.